Singapore REITs to enjoy a prolonged rally as sentiments remain buoyant. DBS economists now expect no further rate hikes till 2020; which will fuel a further rally in S-REIT prices. Picks Ascendas REIT, CapitaLand Mall Trust, Frasers Centrepoint Trust, Mapletree Commercial Trust, Mapletree Logistics Trust, Mapletree North Asia Commercial Trust, Mapletree Industrial Trust and Frasers Logistics & Industrial Trust. Singapore Developers remain a tactical trade given our more muted view on the residential market, picks CapitaLand and Frasers Property Limited. Dovish Fed comments a boon for S-REITs. Dovish signals from Fed Chairman Powell that increase the prospects of a prolonged Fed pause will be music to REIT investors. With interest rates seemingly on “HOLD” as the Fed's priority remains in supporting the economy rather than normalisation, we see abating risks of interest rate hike in the near term. The dot plot now shows just one hike in 2020, compared to three (two in 2019 and one in 2020) back in December. Most investors were mostly anticipating the Fed to retain one hike in 2019. Accordingly, DBS economists have also revised their rate hike assumptions from two hikes in 2019 to nil till the end of 2020. With the Fed leaning towards supporting and cushioning the slowdown in the US economy, we believe that recession risk may start receding in the medium term. S-REIT prices have done well in line with expectations; but the macro environment remains supportive. S-REIT share prices have played out in accordance to our expectations as per previous reports (Singapore REITs: Riding On Macro Tailwinds on 11 February 2019 and Singapore Retail REITs: Beating The Odds on 18 February 2019). As such, we believe that some of these macro tailwinds have been priced in, in view of the 9.1% rise in the S-REIT Index (FSTREI index) and the sector’s FY19F yield has compressed to 5.8% (yield spread has remained at 3.7%) based on the 10-year SG bond yield of 2.15%. We note that the larger-cap REITs have generally led the rally in prices and we continue to see rotational interests among the S-REITs in the near term. Looking ahead, while the ultra dovish comments will be a boost to S-REIT prices in the near term, we do note that the reason behind this pause in hikes comes on the back of rising uncertainty in the global economic outlook which we believe that investors should be wary about. S-REITs could undertake more fund raising if real estate transactions materialise. At current prices (yields of 5.8% and P/NAV of 1.1x), we estimate that the average cost of capital is generally supportive of acquisition activities. We believe that acquisition activity will pick up. 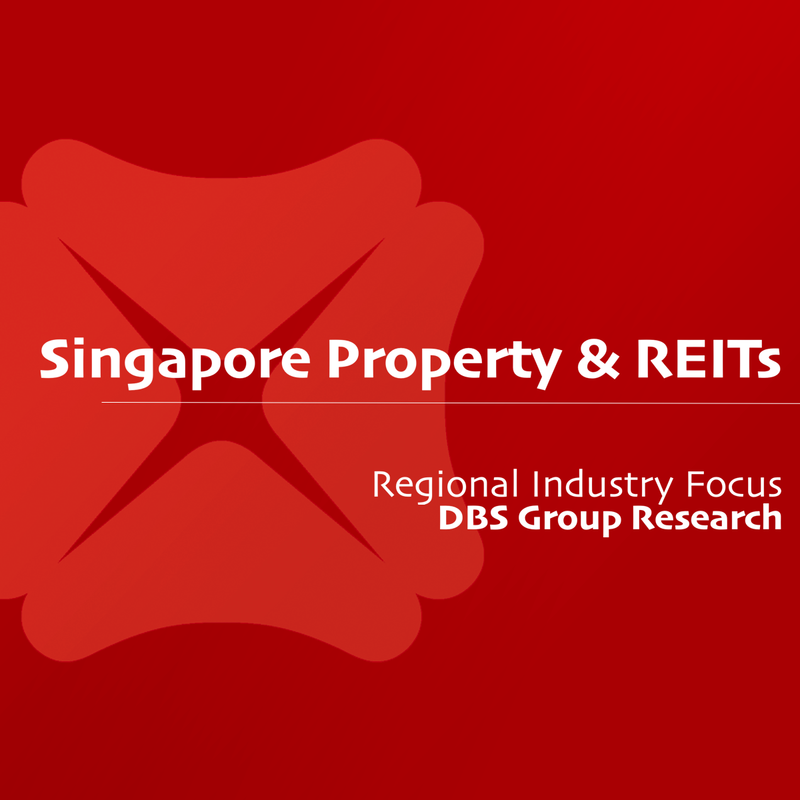 If recent newsflows of potential real estate transactions in Singapore, especially in the commercial (both retail and office space) and potential injection of assets from Developer Sponsors materialise, S-REITs could take the opportunity to raise equity to recapitalise their balance sheets and create more buffer for future growth. In terms of our preference, we believe that interests in the retail REITs and industrial REITs will pick up on the back of expected acquisition-led growth while office REITs could continue to see reflation opportunities as the office market continues to strengthen. FRASERS LOGISTICS & IND TRUST (SGX:BUOU). Property Developers – we prefer CAPL and FPL. While expectations that the lower interest risks could boost transactions in the physical market (pushing some potential property buyers to lock in their purchase at lower mortgage rates), we believe that the large number of upcoming launches amounting to almost 40,000 new units hitting the market will remain an overhang for project sell-through rates, which are already starting to see signs of slowdown. We still believe while share prices for developers might react positively in the near term, they remain a tactical trade as we see most developers trading in a range of between 0.8x P/NAV (5-year -1SD level) and 0.9x P/NAV (5-year average), and remain buyers closer to -1SD and trough levels (0.7x P/NAV) for additional buffers. Our preference is to stick with developers with a larger component of recurring income like CAPITALAND LIMITED (SGX:C31) (Rating: BUY, Target Price S$3.62) and FRASERS PROPERTY LIMITED (SGX:TQ5) (Rating: BUY, Target Price S$1.98) with potential catalysts coming on the back of potential asset-recycling activities in the medium term. Investors who look to gain exposure into the residential space might consider the likes of APAC REALTY LIMITED (SGX:CLN) (Rating: BUY, Target Price S$0.70) given that the company could benefit from higher commission rates paid out by developers in order to push sales.